Need a website, but don’t know where to start? Don’t have the time or skills to create the right content? 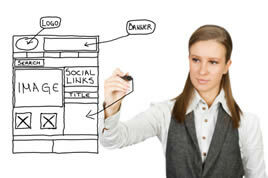 The main objective of a website is to generate leads and sales. And this comes with the right content that is informative, easy to read, well structured, engaging and compelling for visitors to take some action e.g. read on, download a brochure, leave their contact details or add a product to a shopping cart. We understand that creating such content can be a daunting and time consuming task. We have access to huge online stock photo libraries, hundreds of fonts, pre-written scripts, plugins and other web design elements. We also have copywriters and web developers on call, so if you need a series of articles, an online booking script, an e-commerce site or a forum, we can build it for you. 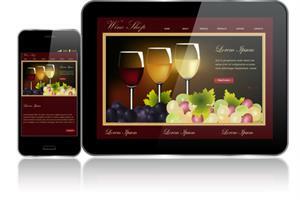 You no longer need to have separate websites for mobile and portable devices. Our websites scale perfectly and look great on any mobile or tablet including iPhones, Android phones, iPads and other mobile devices. However, if most of your customers use smart phones or tablets, you would be better off with a specially designed mobile website or an ap. We do them too. We specialise in building websites using a well-known open source Content Management System – WordPress. This means that your website will come with a Free Content Management System which will allow you to update it yourself. WordPress powers millions of websites around the world, so you also won’t be stuck for support, if you don’t want to use us. 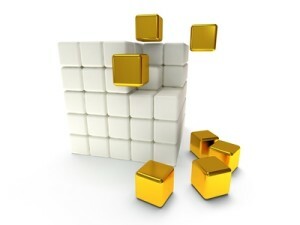 Our websites are built using solid, yet easy to expand structure. It means that you can start simple, then add new functionalities as and when you need them – a blog, forum, membership option, PayPal button, a shopping cart, an event calendar or room booking option. You can replace a simple header with a slide show, add video players, forms, maps and almost any other functionality you can think of, without needed to re-do anything from scratch. With a website designed by us, you are never left stranded. All our websites are search engine friendly and search engine optimised. We also offer ongoing search engine optimization and website promotion, fully managed, reliable hosting services and ongoing website maintenance and support. In the past few years we have built an impressive portfolio of websites ranging from restaurants to holiday homes, insurance brokers, management consultants, software distributors, wedding singers, solicitors, event managers, construction companies, plumbers, painters and many more. Many of these websites you can find on the first pages of Google. See our Web Design Portfolio here.